Access to nearly 30,000 surcharge free ATM's. New and Used AUTO, RV, Boat, Motorcycle Loans. Great rates! Get pre-approved before you shop! You have dreams we have money. You've found the right home. Now find the best mortgage. Why trust your biggest investment to someone you don’t know? Free checking with no hidden fees plus access to nearly 30,000 surcharge free ATM's. Access your accounts 24/7 through our on-line web interface or through our iPhone and Android app for your smartphone. Easily make on-line deposits and transfers from anywhere. In addition to great rates on savings and loans, we offer many extras including Safe Deposit Boxes, Notary services, annual credit report and no-hassle auto buying. Plus tools to help you manage your budget. SSPFCU understands the importance of monitoring your financial health and quickly identifying suspicious activity. Stay on top of security threats with the following services and information to keep your finances safe and secure. If you are using a screen reader or other auxiliary aid and are having problems using this website, please call 503-643-1335 for assistance. All products and services available on this website are also available at Sunset Credit Union’s branch office. Copyright © 2018 Sunset Science Park Federal Credit Union. All Rights Reserved. 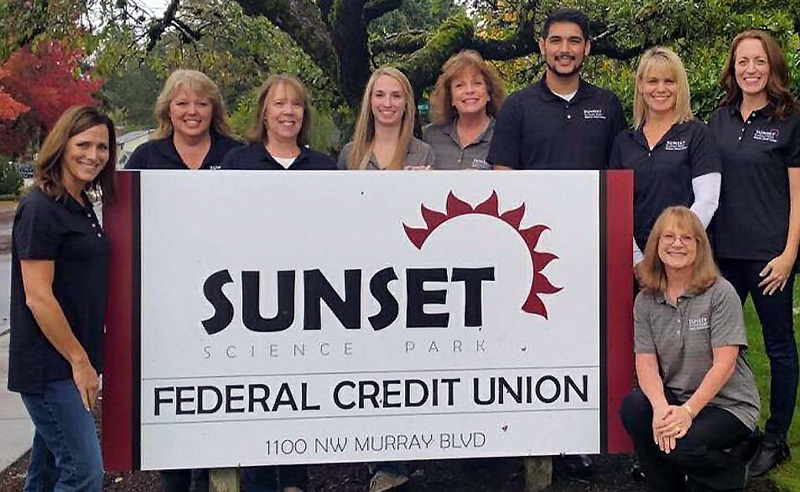 The website you are about to visit is one of Sunset Science Park Federal Credit Union's trusted partners.